We’re your trusted partner for IT hiring, recruiting and staffing needs. 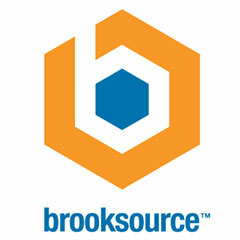 For over 14 years, Brooksource has established and maintained relationships that are designed to meet your IT staffing needs. Whether it’s contract, contract-to-hire, or permanent placement work, we customize our search based upon your company’s unique initiatives, culture and technologies. With our national team of recruiters placed at 16 major hubs around the nation, Brooksource finds the people best-suited for your business. Our Hoboken Office is here to service the Greater New York City Area including New Jersey, New York City, Connecticut and Long Island, NY. Then we follow through to make sure that the project is successful. By remaining engaged with our clients and consultants, we build trust and lasting partnerships with both. In other words, when you work with us, we work with you. That’s the Brooksource promise. About our New York City Office: Located in Hoboken, New Jersey, which is commonly known as the “sixth borough” of New York City. Hoboken has a rich cultural history, and is known as the birthplace of baseball and Frank Sinatra. It’s home to the famous Carlos’ Bakery, from the hit TV show “The Cake Boss.” Our office is located in the Monroe Arts Center, a renovated blind manufacturing building with a lot of character. When we’re not working, we enjoy midnight movies and concerts in Pier A park, the beer garden, food trucks on pier 13 and kayaking on the Hudson.